DandelionDandelion wants to bring geothermal heating and cooling to everyone. 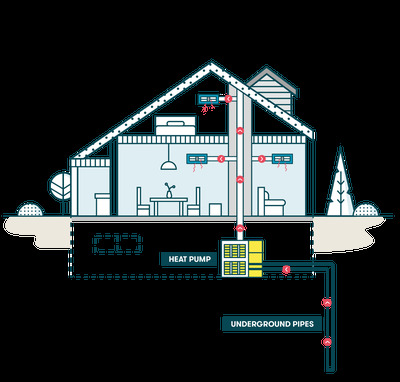 Dandelion, a spinoff of Alphabet’s secretive X lab, wants to bring geothermal to the masses. While it costs $US20,000 (you can opt for a financing plan), Dandelion estimates you can save up to 70% on yearly heating and cooling costs, including the price tag. A spinoff from Alphabet’s (Google’s parent company) secretive “Moonshot Factory” wants to cool your home with geothermal energy – all without emissions. Geothermal cooling, on the other hand, uses subterranean temperatures to keep homes at a comfortable temperature. Because the ground has insulating properties, temperatures four-to-six feet below ground don’t fluctuate as much, and a geothermal system can harness this. 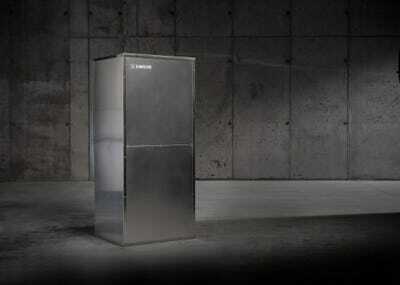 Switching to a geothermal system, however, isn’t easy – or cheap. Traditional geothermal systems are often custom-made for homes, and too expensive for the average homeowner. Dandelion’s new product, dubbed the Dandelion Air, is an attempt to bring eco-friendly geothermal heat and air conditioning to the masses. It’s over four times more efficient than any furnace on the market and twice as efficient as conventional air-conditioning systems, the company said. DandelionA diagram of how the Dandelion Air works. But all that efficiency comes with a hefty price tag: The Dandelion Air costs $US20,000 to install, though the company says homeowners are expected to save between 20% and 70% on yearly heating and cooling costs if they opt for Dandelion’s financing plan, which boils down to $US135 a month over 20 years. According to the company, homeowners recoup the cost of installing the system over time since it lowers their electricity bill and they don’t have to purchase oil for the winter. Dandelion’s technicians install the system – pump included – in your home, with a series of pipes that extend into the backyard. In the summer, the heat inside the home is pumped in the ground, where it gets absorbed, cooling the house. In the winter, it’s the opposite: the system absorbs heat from the ground and pumps it through your house using the ventilation system. But while Hannun, Dandelion’s CEO, said most homes can use geothermal energy, you have to check Dandelion’s website to see if your home qualifies for the Air system. The company is working on developing a second product, Dandelion Radiate, that works with traditional radiators. “We’ve been thrilled by the interest,” she added.